A good night’s sleep means so much more than you actually think when it comes to beauty, and skin health. Yes, you need your sleep, because it will get you ready for the day ahead of you. Whether you are self-employed or work 9-5, you need to feel reenergized. 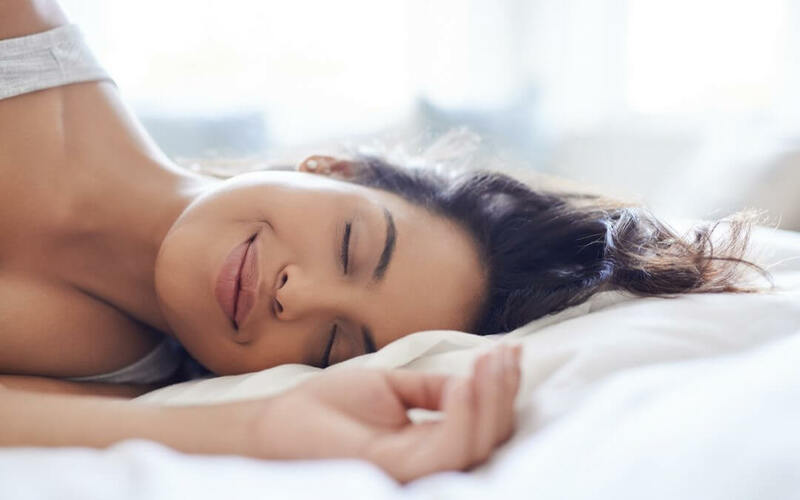 A good night’s rest can mean good skin health since when you’re not sleeping enough or at all, your body produces more of the stress hormone cortisol. Heightened levels of cortisol can mean increased stress and inflammation in the body, which is a negative occurrence for your body. Not enough sleep worsens skin conditions that you already have. Increased inflammatory response occurs as you get more acne breakouts, increased skin sensitivity, increased allergic contact dermatitis reactions, and increased irritant dermatitis — and more harsh conditions mean increased treatment and skin care. Not enough sleep takes away from your skin’s innate beauty. Enhanced inflammatory cells in the body means an increase in the breakdown of collagen and hyaluronic acid, the molecules that provide the skin with its radiance, and glow. We all want beautiful skin and at Mederm Esthetics we can provide you with the proper tools to make that happen. Not enough sleep makes immune-related skin problems worse. Excessive inflammation in the body interferes and disrupts the body’s capability to control the immune system, which means not only getting sick more frequently, but it also means immune-associated skin diseases such as psoriasis and eczema. Psoriasis is not only a skin disease; it’s also a sign of body inflammation. Several people with acute psoriasis actually have a higher risk for heart attacks, which is a valid reason to lower your stress and anxiety levels and get a good night’s sleep. Not enough sleep means a decrease in beauty. While you’re sleeping, the body’s hydration readjusts. Skin is able to repair moisture, while additional water in general in the body is ready for removal. Not getting proper sleep means improper water balance, and this leads to raccoon eyes (puffy bags) under your eyes and under-eye circles. In addition, dryness and more noticeable wrinkles. Essentially, you will look more tired and it draws away from your beauty, unfortunately. Not enough sleep speeds up the aging process. During a deep sleep, the increase in growth hormones permits damaged cells to become rebalanced. Lacking the deeper phases of sleep, this won’t happen, allowing every day small breakdowns to build up versus of being overturned overnight. This means more visible signs of aging, which is something many people dread. Not enough sleep results in weight gain. Sleep also lends a hand with managing your weight, which is beneficial for your skin. Sleep actually makes you feel less hungry. Lack of sleep means more snacking and calorie consumption in the middle of the night. Don’t consume a large meal too late in the day. Drink a lot of water throughout the day, but not late at night. Sleep under a warm blanket in a cool, dark, quiet room. Use breathable cotton sheets and wash them consistently so they don’t build up dust and bacteria. Use laundry detergents that don’t have powerful fragrances, which can be aggravating to the skin. Getting your beauty sleep can’t be stressed enough — it’s a must for having skin that glows.